We didn’t have the highest expectations for San Andreas in the science department, but what we got from Hollywood shattered our expectations with a hefty portion of bad science, a cliché story line, and a dose of sexism that should be considered lethal for the box office in the year 2015. 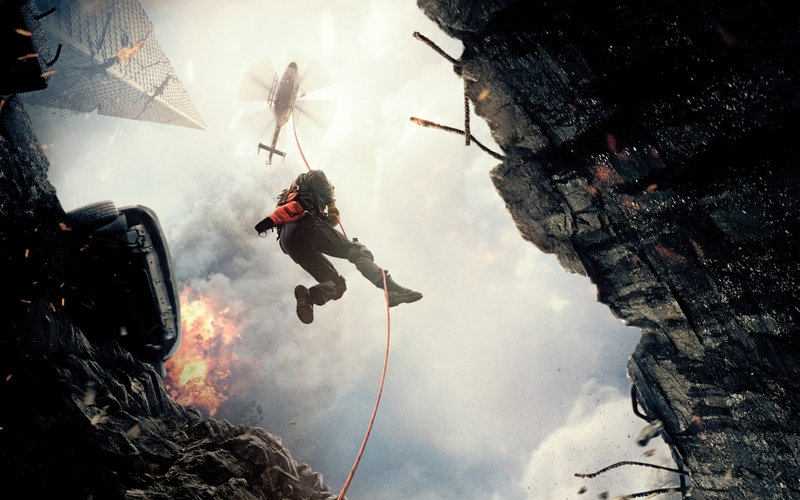 Ray, the film’s protagonist, is played by Dwayne Johnson f.k.a “The Rock”, a fearless, overly-aerobicized LA search and rescue worker with helicopter piloting skills to put any experienced pilot to shame (and into a fit of chuckles). Ray’s estranged wife and daughter are the female leads. Thanks Hollywood for reminding us in the 21st century that women are helpless and need to be rescued! Daughter Blake (played by Alexandra Daddario), is the prize of the film, perhaps because she is attractive, clever, and of childbearing age. On the other hand, second lead female Emma (the mother, played by Carla Gugino) is portrayed as an utterly helpless, overly emotional, and probably more believable a character had she been unconscious. Paul Giamatti plays Lawrence, a stereotypical on-screen geoscientist: a bit nerdy (check), a bit socially awkward (check), and just the right amount of facial hair (and check). In the beginning of the film we learn that Lawerence and his mighty team of two graduate students have developed a new earthquake-predicting model using analysis of magnetic pulse rates (Oh Hollywood, where do you get these ingenious ideas from?). The film kicks off with Cal-Tech professor Lawerence giving a lecture about historically devastating earthquakes, noting large mega-thrusts of Chile (M 9.5) and Alaska (M 9.1). He goes on to state that a large magnitude mega-thrust earthquake (M 9 or higher) is overdue on the San Andreas Fault with certain imminent danger. Fortunately, a case of bad Hollywood science, comparing the San Andreas strike-slip fault system to a subduction zone (mega-thrusts can only occur at subduction zones, the San Andreas is NOT a subduction zone) is almost as silly as generating a tsunami from the San Andreas fault. Yet again our expectations are exceeded, and director Brad Peyton indeed went over-the top with a glorious tsunami that would finally level San Fransisco after it had been repeatedly hit by earthquakes ~ M 9. The film offers a plethora of examples for erroneous geoscience, causing us to question if the film’s budget was entirely expended on CGI and special effects before they had the opportunity to hire a geoscience consultant to review the screenplay (written by Carlton Cuse). Some examples include stating that there are “no faults in [southern] Nevada”, their clever placement of a previously-unrecognized plate boundary, exposed as a massive earth fissure running through Bakersfield, CA and separating part of California as a single discrete plate, and of course, earthquake prediction. We can try to tease out the positive public message in the film: California is subject to earthquake hazards, and residents should be aware and prepared and have emergency plans in place. In light of recent earthquakes that have caused devastation to Nepal and surrounding regions, we should recognize that earthquakes are not Hollywood glamour, but devastating events that effect millions of lives, especially in underdeveloped countries where building codes such as those required in southern California cities are impossible to emplace. Properly educating the public with true facts about potential earthquake hazards (rather than earthquake-glamor) is strongly recommended. 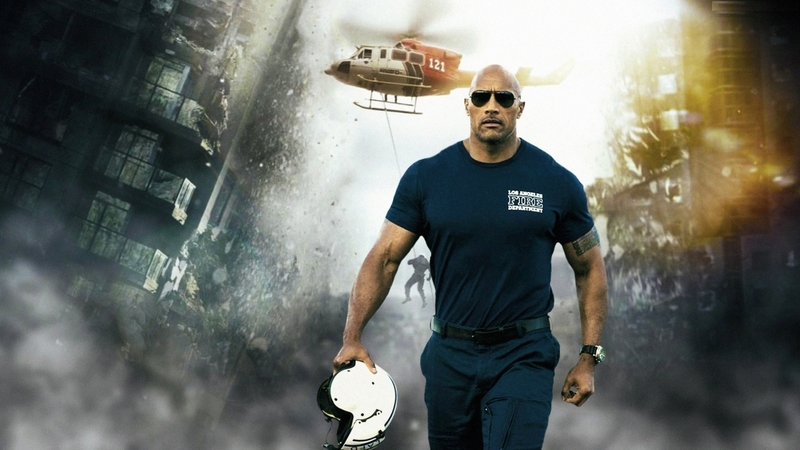 If you decide to go see San Andreas, leave your geoscientist logic behind and enjoy it solely as a popcorn eating, stereotypical disaster movie with Johnson emerging as a mature actor. If not, you will be frustrated (like we were) with the ineptitude of filmmakers in trying to portray a scientifically sound geology movie. C’mon Tinseltown people, it’s not rocket science!